Twitter is the bane of many politicians, actors, and corporations, thanks to its ability to bring trouble with the push of a single button. However, it can be an effective way to help you find work. Social-Hire.com says the first thing a job seeker should do is develop a professional profile for their account. “Come up with a handle that uses your name, relates to your field, or combines the two. Don’t forget to make sure your profile photo and background look sharp and professional too!” the article says. A major reason to build a professional Twitter account is there will be no need to scrub your personal account. However, keep in mind that most employers will still search you out under your own name, not just the Twitter handle you provide. It really helps to follow the edict, “Don’t post anything you wouldn’t want your mother to read” — even if your mom is Sharon Osbourne. Your profile photo is incredibly important. Consider having it professionally done. Failing that, at least be professionally dressed when your roommate snaps a photo with his iPhone. Make sure the photo is well lit and free of distractions in the background. CityHeadshots.com has a useful video on the subject. It’s geared towards aspiring actors, but it’s good advice for anyone who wants to look their best. Your goal is to make a striking first impression and get your foot in the door. 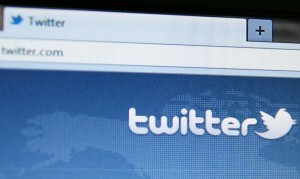 Build up your Twitter credibility by tweeting out your own content, Social-Hire advises. This is something you have to plan in advance. You can’t apply for a job and then flood your Twitter feed with posts. It annoys your follows, who will probably drop you quickly, and it’s really obvious to all that you’re desperately trying to impress some employer. This is a strategy you have to build slowly. It’s like the old maxim of finding a job when you’re not looking for one. The same can be said about Twitter. Use it to build your credibility when you’re not looking for a job, and you will probably find one. Look to see if a company you are interested in is posting job openings on Twitter (they most likely are). Take things a step further and find out if the hiring manager has a Twitter account. He or she is likely posting job openings, and you can respond directly to them.